How much one should be crazy and full of money to splash $726,500 on a Champagne cooler? In March this year, a UK businessman spent $315,000 on the world’s most expensive bottle of champagne – a Nebuchadnezzar of Armand de Brignac Midas. 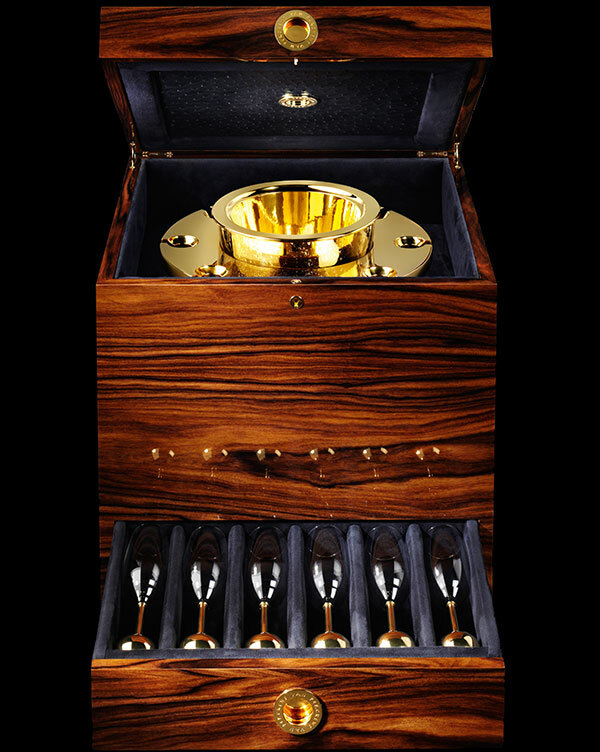 Now, it sound like a trifle when compare with Van Perckens Nr.8 Champagne Cooler, that is selling for €550,000 ($726,500). 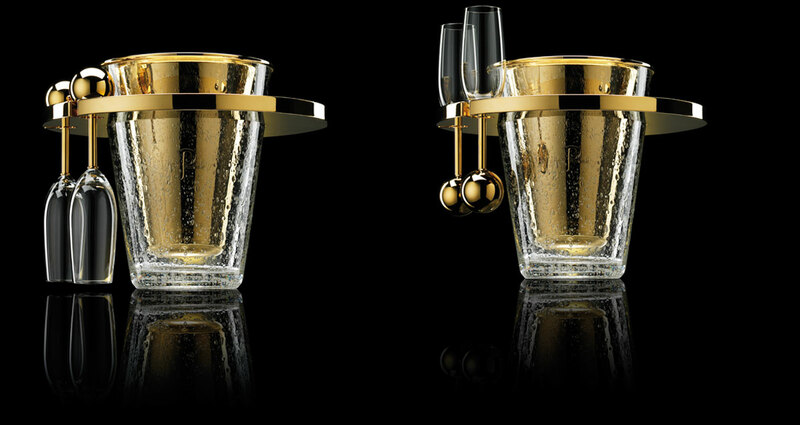 Made of 7kg of solid 20 ct gold, this champagne cooler is described to be a symbiosis of precious metals, crystal, passion and traditional Dutch craftsmanship to meet your every wish. For that price, it must do that. If you want to add some precious stones, the price depends on your request. What is an extra $270,000 for couple of diamonds to round up the figure on $1 million?! Far as I know, this is world’s most expensive Champagne Cooler. Van Perckens Nr. 8 for 6 persons will be personally delivered in a high gloss wooden case enhanced with gilded details. 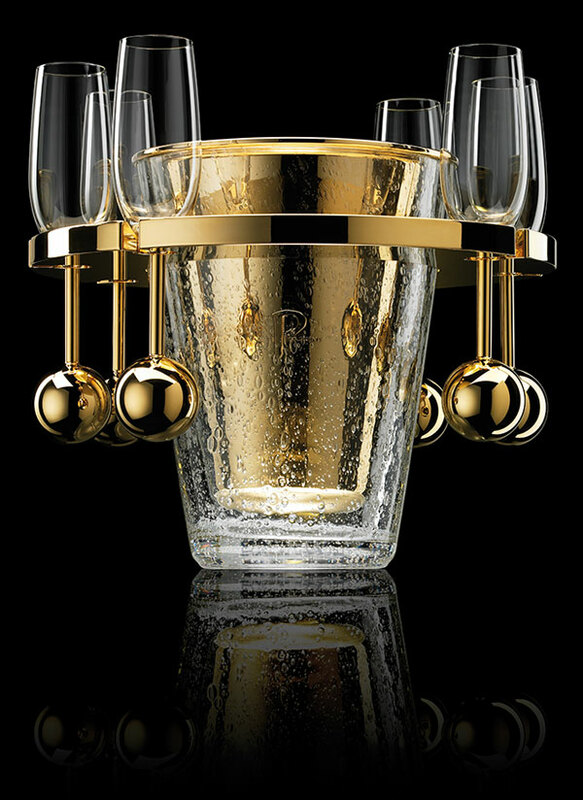 The sliding drawer holds the Van Perckens champagne goblets and a pair of signature black gloves. The case’s interior is tastefully lined. There is more. 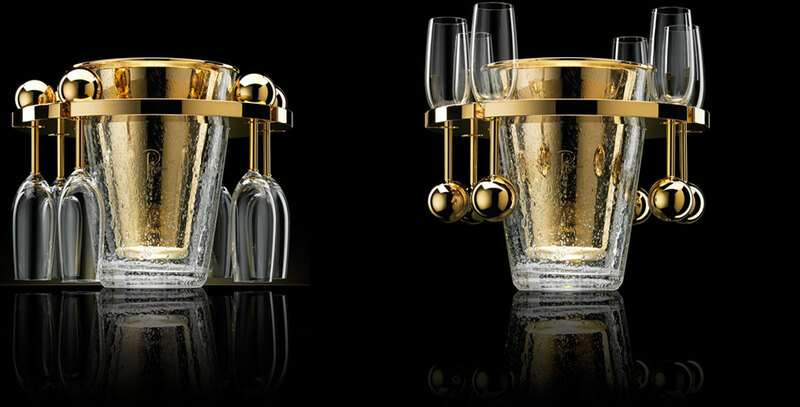 If you don’t prefer gold, but rather silver, there is Van Perckens Nr.8 Champagne Cooler made of sterling silver, priced at €81,000 ($107,000) or some mix of materials like silver/gold plated Champagne Cooler with the price of €85,000 ($112,280). Each unique Van Perckens object carries its own comprehensive certification. Van Perckens Nr.8 Champagne Cooler is personally delivered in a hand-crafted Rosewood case enhanced with gilded details.